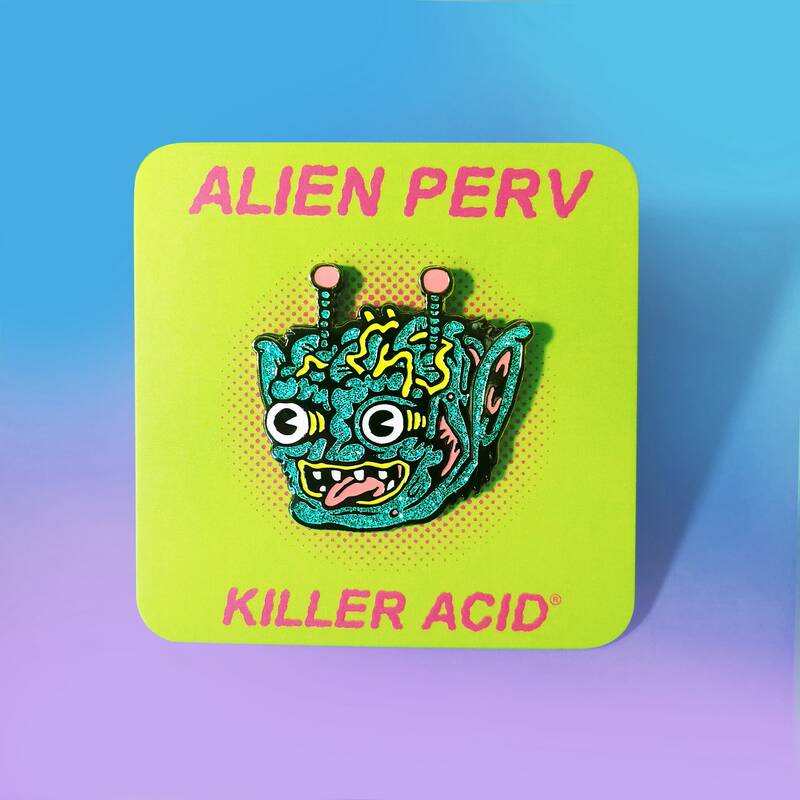 Alien Perv enamel pin by Killer Acid. High quality glitter enamel with epoxy coating. 1.5" wide, shiny high quality metal, single pin post, locking pin clutch. Love KillerAcid. 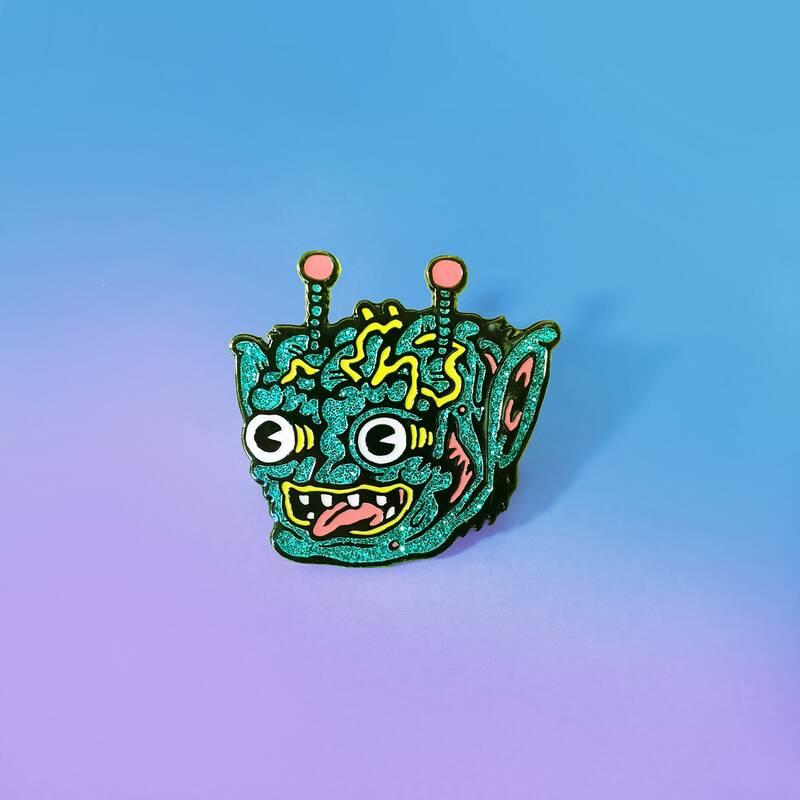 Trying to buy one of all!